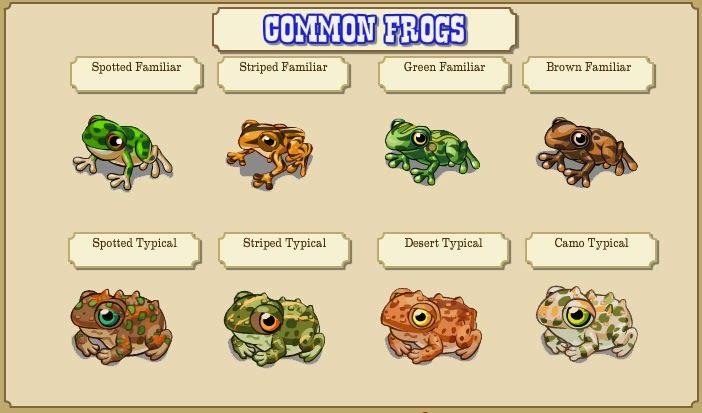 The full guide on Frog Breeding! More info will be added during the night. 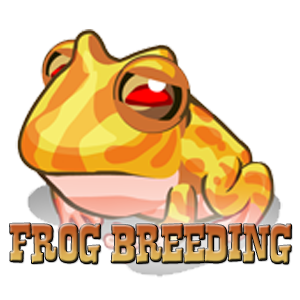 Click Breed on a Frog that you have grown, they must be FULLY GROWN (34 feeds) but do NOT need to be award winning. 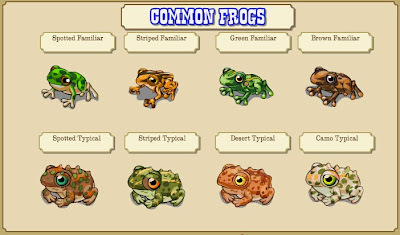 Pick a neighbour's Frog to breed with, or buy one from Ted. Each Frog requires 8 Soothing Spots which drops from Hosta Flowers or are in the market. Click the Pregnant Frog to give birth. 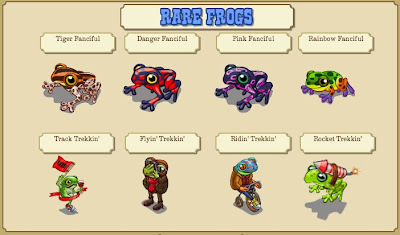 That Frog will now "retire" and store. You can use our INTERACTIVE BREEDING TOOL here to work out combinations easily. Breeding results depend on the variations that have gotten jiggy with it. 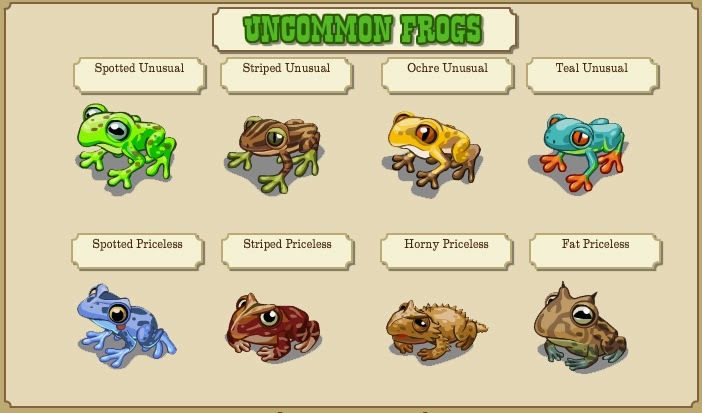 Note, the chances of getting the better types of frog increase as you go down the list. The order of Parents doesn't matter, they've simply been numbered 1 and 2 for definition. Plus, one from, Rubber Root Dandelions, Fully Grown Pine, Fully Grown Birch, Cherry Creamcake, Mystery Animal Crate. 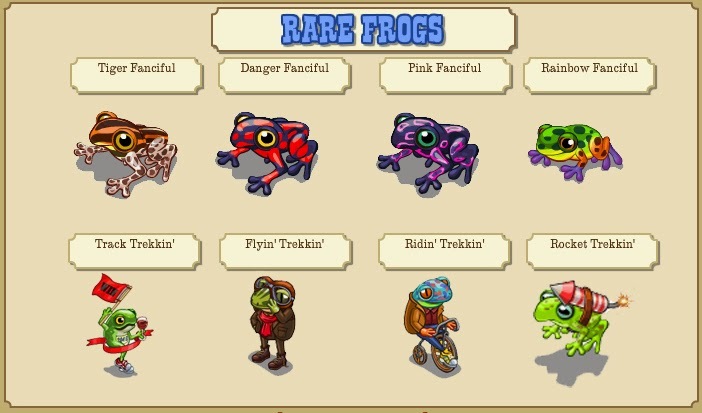 Plus one of Recycle Bins, Fully Grown Oaks, Fully Grown White Oaks, Red Eye Boosts, Mystery Animal Crates. Plus one of Compost Piles, Fully Grown Coastal Pines, Green Frogs, Squeezing the Stone Boost, Wilderness Juice Boosts. Plus one of Steel Forges, Fully Grown Birches, Blue Frogs, Crop Whisperer Boosts, Frontier Fritter Boosts. Plus one of White Water Lillies, Fully Grown Grizzly Oaks, Yellow Frogs, How To Jack Lumber Boosts, Chocolate Rush Boosts. 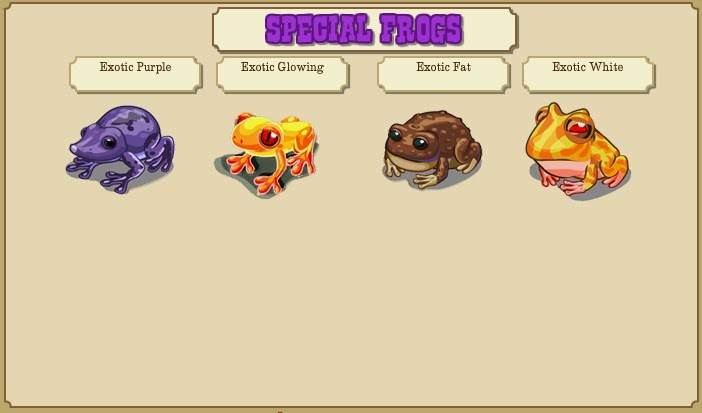 Plus one of Wild Buttercups, Fully Grown Willows, Frog Crates, Shearing For Shave Tails Boosts, Peppermint Earthquake Boosts.